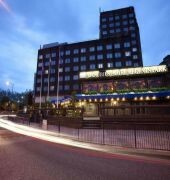 The Danubius Hotel Regents Park is a 4-star accommodation centrally located close to Lord's Cricket Ground, Wellington Hospital and Regent's Park. The hotel is near the St. John's Wood Tube station and West End is just a 10-minute bus ride from the hotel. Guest rooms are equipped with flat-screen TV, desk, free WiFi access and en suite bathroom. The in-house restaurant offers buffet and a la carte menus featuring authentic Indian, British and seasonal dishes. 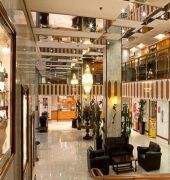 In addition, guests can enjoy live music or watch live sports at the lounge bar serving light lunches, English afternoon tea, homemade Hungarian pastries, coffee and a wide selection of international wines, beers and cocktails. Other facilities and services include a fitness room, meeting spaces, on-site secured car park, a theatre desk for all of London's West End theatres and airport limousine. The London Zoo, Madam Tussauds, Sherlock Holmes Museum, Marble Arch and Oxford Street are some of the tourist destinations in the area. The DANUBIUS REGENTS PARK is a Tourist hotel. Located in City Centre - Regents Park area. Shopping is accessible by bus/taxi and the nightlife/restaurants are located in the hotel. 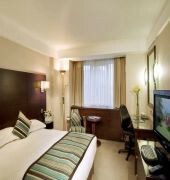 Descriptionclass="small" style="text-align: justify; font-size:11px;">The Danubius Hotel Regents Park is a 4-star accommodation centrally located close to Lord's Cricket Ground, Wellington Hospital and Regent's Park. The hotel is near the St. John's Wood Tube station and West End is just a 10-minute bus ride from the hotel. Guest rooms are equipped with flat-screen TV, desk, free WiFi access and en suite bathroom. 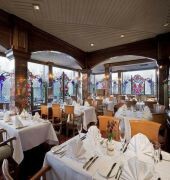 The in-house restaurant offers buffet and a la carte menus featuring authentic Indian, British and seasonal dishes. In addition, guests can enjoy live music or watch live sports at the lounge bar serving light lunches, English afternoon tea, homemade Hungarian pastries, coffee and a wide selection of international wines, beers and cocktails. 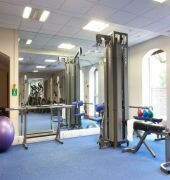 Other facilities and services include a fitness room, meeting spaces, on-site secured car park, a theatre desk for all of London's West End theatres and airport limousine. The London Zoo, Madam Tussauds, Sherlock Holmes Museum, Marble Arch and Oxford Street are some of the tourist destinations in the area.